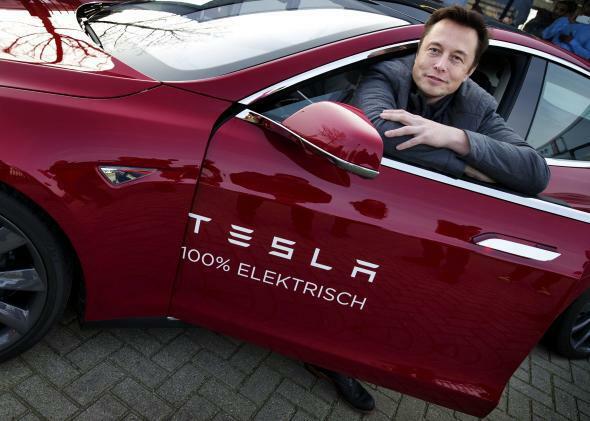 Tesla autopilot: Elon Musk is personally testing his self-driving system. Elon Musk Is Already Driving His Tesla on Autopilot. Would You? Tesla CEO Elon Musk says his company’s autopilot mode is nearly road-ready. While Google is building fully self-driving cars, actual car companies have been moving more gradually toward a driverless future. But Tesla is moving less gradually than others. At the company’s annual shareholder meeting Tuesday, CEO Elon Musk said he’s already personally testing Tesla’s “autopilot” technology every week. And he’s “cautiously optimistic” that autopilot mode will be ready to release to members of Tesla’s public beta-testing program by the end of June. There are good reasons for that, beyond a simple abundance of caution. As Musk noted, Tesla’s autopilot software is constrained by its cars’ hardware: A Model S today comes with a forward-facing camera, forward-facing radar, and 360-degree sonar, which means there’s no redundancy in any direction except the front. In fact, Musk added, the auto-steering system relies on multiple computers working in a series, so that if one fails, they all fail. In fact, it isn’t clear that Tesla’s autopilot mode is much more advanced than the top driver-assistance technology already offered by Mercedes’ Intelligent Drive system. Several other automakers have similar systems in the works. What Tesla might have over its rivals, as the Motley Fool’s John Rosevear recently pointed out, is a more aggressive approach. 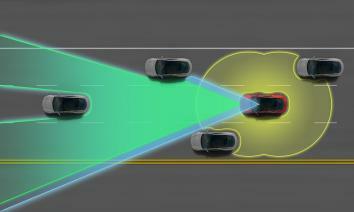 Tesla’s autopilot mode relies on a forward-facing camera, forward-facing radar, and 360-degree sonar. For instance, Tesla is boasting that its autopilot will include a “summoning” feature that lets you beckon your parked car to your side at the touch of a button. Operating a vehicle without a driver inside raises legal obstacles that have likely deterred established automakers from trying anything like this. But Tesla plans to skirt those issues by stipulating that you’re allowed to use the summoning feature only on private property—e.g., in your own driveway. Interestingly, Musk went on to offer a hypothesis as to just how safe self-driving cars will have to be before human drivers are no longer required. “Probably we’d want autopilot to be at least statistically 10 times safer than a person” before handing full control to the computers. That sounds pretty safe. But remember, more than 30,000 people die on U.S. roads each year. That implies that, if everyone switched to autopilot, self-driving cars would kill some 3,000 Americans per year*—or about as many as died in the Sept. 11 attacks. The hyperrational Musk would be comfortable with that. Would you? *To be fair, a fully automated system might prove far safer than this, since vehicles would presumably have the ability to communicate with one another in real time. Then again, a fully automated system would require the government to ban manual-drive cars, which seems politically—well, challenging, to say the least. Elon Musk Is Not a Comic Book Superhero. He’s More Interesting Than That.